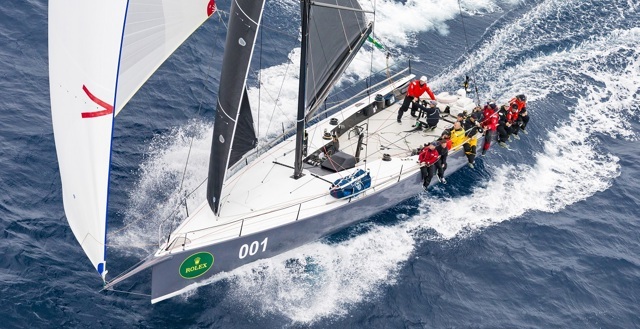 The TP52 Ichi Ban, owned and skippered by seasoned campaigner Matt Allen, has won the 73rd Rolex Sydney Hobart Yacht Race and, with it, the Tattersall Cup and Rolex timepiece reserved for the overall winner on corrected time. 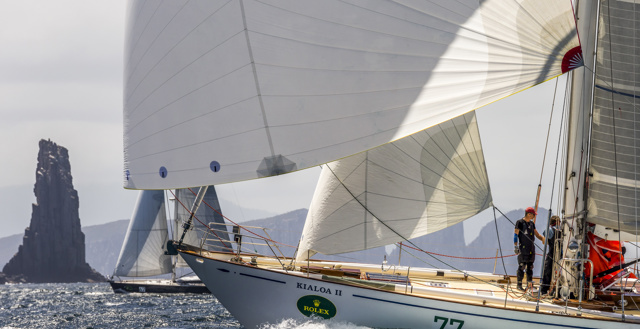 Paddy Broughton of Kialoa II talk to us about breaking their boom on 27 December and how they continued in the Rolex Sydney Hobart. A collection of short clips of the race on Wax Lyrical, from leaving the dock at the CYCA to Tasman Island. In an even fleet of 11 identical 70-footers in the Clipper Race fleet of the Rolex Sydney Hobart, Wendy Tuck is amazing - today she brought Sanya Serenity Coast and its huge crew of amateurs across the finish line at the head of their fleet - where all 11 boats arrived within 90 minutes of each other. Matt Allen’s Ichi Ban has been confirmed as the overall winner of the 2017 Rolex Sydney Hobart. With 28 races under his belt, this is the culmination of a quest to claim the top prize at one of the world’s most revered sporting occasions by one of Australia’s stalwarts of the sport of sailing. The coincidence of a new boat and a forecast that encouraged the 50-footers, made Ichi Ban one of the pre-race favourites. That should not in any way diminish the scale of this achievement. Ichi Ban needed to sail a near perfect race to beat their immediate opposition, both on the water and on handicap. “Amo questa gara - I love this race,” Giancarlo Simeoli declares after his seventh Rolex Sydney Hobart after years on the much loved Brindabella, but this time he raced south aboard the faster, wilder American Cookson 50, Triple Lindy and had a ball. Matt Allen’s new TP52 Ichi Ban has been declared the overall winner of the Cruising Yacht Club of Australia’s Rolex Sydney Hobart Yacht Race 2017 – and Allen, the president of Australian Sailing, can hardly believe it. The Derwent takes prisoners. You can be on your best behaviour but this river doesn't believe in early release, for anyone. This 2017 Rolex Sydney Hobart may have been a spectacularly fast one for the quick yachts at the front of the fleet, but there is still a long way to go for the rest of the fleet - at dawn this morning, three were struggling up a completely windless Derwent River while the remaining 63 competing yachts were strung along the Tasmanian coast. When he stepped aboard his new V70 Wizard with his brother Peter just days before the start of the Rolex Sydney Hobart, American David Askew had never stepped onto one of these legendary ocean warhorses before. Now he has seen just what they can do.